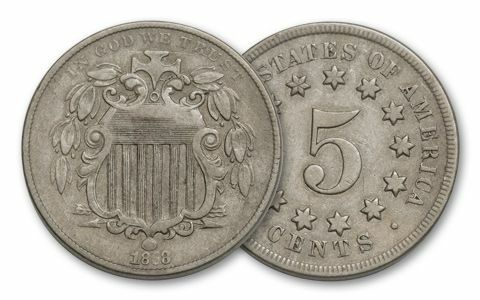 When silver Half Dimes disappeared from circulation due to Civil War inflation, the government replaced them with paper 5 cent notes. After the war, the public howled to get these notes replaced with coins, but there wasn't enough silver to do it. The solution? Nickel. 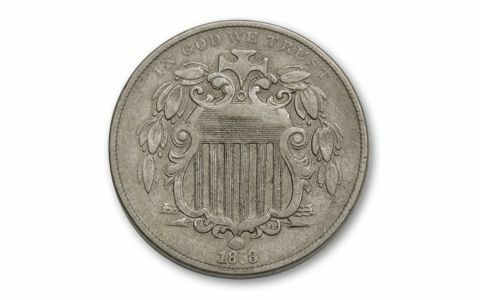 In 1866 the Shield Nickel was born. 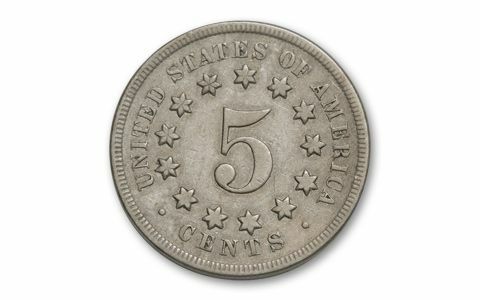 It was the first coin to state its denomination as 5 cents (on the reverse), and it bore the popular Union Shield on the obverse. They haven't been seen in decades, and that's why they're so hard to find in Very Fine condition today. Here's you chance to get our first-ever nickel.